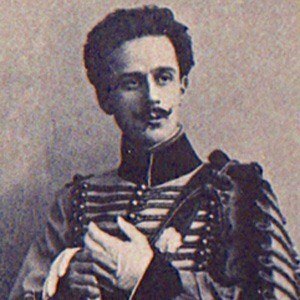 Russian choreographer and dancer, most remembered for staging some 70 ballets during his career. When he was only 9, he was accepted into the prestigious and highly competitive Imperial Ballet School in St. Petersburg. He was also an accomplished academic, having studied things like Greek and Egyptian Art. He died in New York unmarried. He and fellow dancer Anna Pavlova both studied at the Imperial Ballet School in Russia.